It's no secret that HTC has had some issues getting component suppliers to take it seriously after a few bad years. 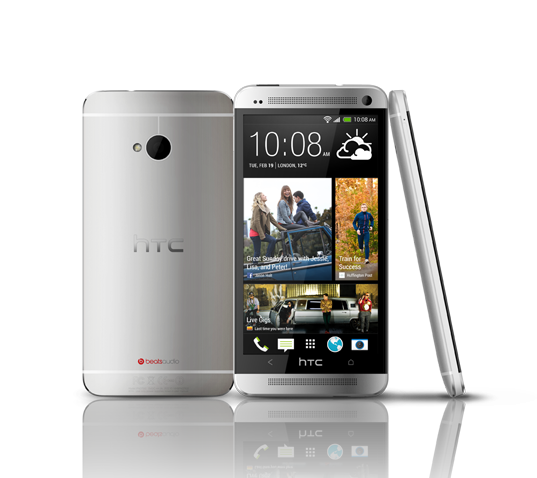 This has led to delays in getting the much-improved HTC One on store shelves. As such, the Taiwanese company has already extended its $100 trade-in program once, and now it's doing so again. You now have almost another full month to take HTC's free money when you buy the One. The previous cut-off date for buying a One was April 26th, but now you have until May 19th. When you have your new device in hand, register with HTC and send in your old device. For some newer phones, you might even get more than the $100 minimum value. HTC will send you a $100 pre-paid Visa card, or the value of your old phone (whichever is greater). 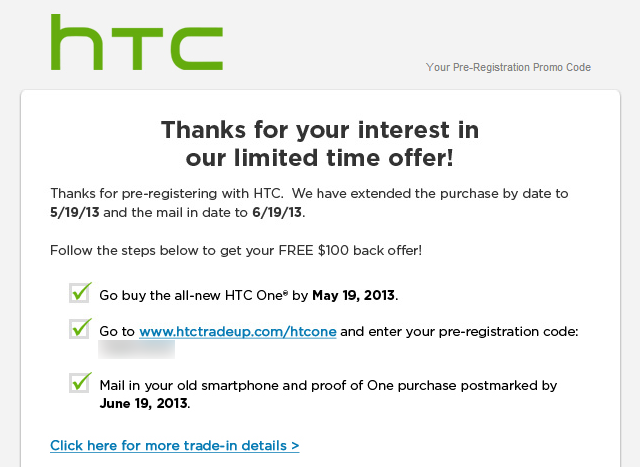 Just make sure you get the deal complete by June 19th, which is when HTC says the promotion will be over – for real this time. Even though the phone is much easier to find now, the extension of this deal is a win for consumers. Some old devices won't fetch a whole lot on Craigslist or eBay, and this is a guaranteed cash windfall.